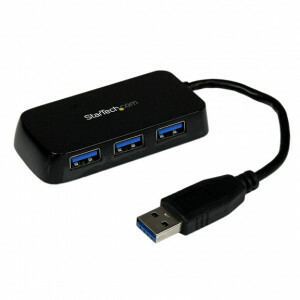 StarTech.com 4 Port Portable SuperSpeed USB 3.0 Hub with Built-in Cable, Color: Black, Model: ST4300PBU3. 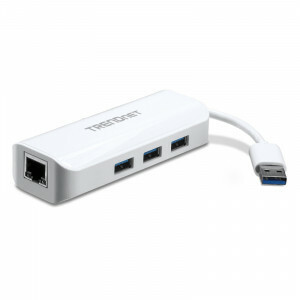 TRENDnet TU3-ETGH3 USB 3.0 to Gigabit Adapter + USB Hub, 1 x Gigabit Ethernet Port, 3 x USB3.0 Port. 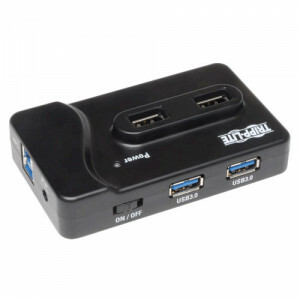 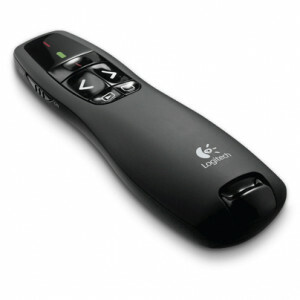 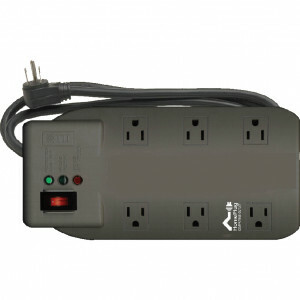 Tripp Lite U222-004-R 4-Port USB 2.0 Hi-Speed Ultra-Mini Compact Hub with Power Adapter. 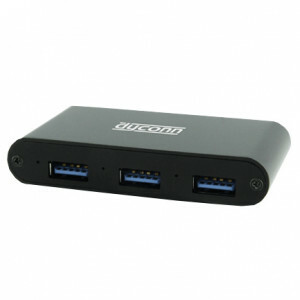 Black Dyconn 4 Port Super Speed USB 3.0 Hub, Up to 5Gbps, P/N: HUB4B. 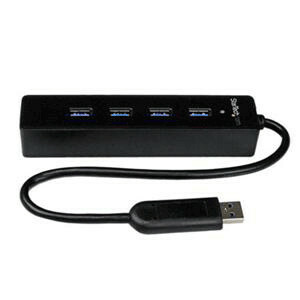 Black Cirago USB 3.0 4-Port Hub, w/ Dedicated Smartphone and Tablet Charging Port, P/N: USH3000. 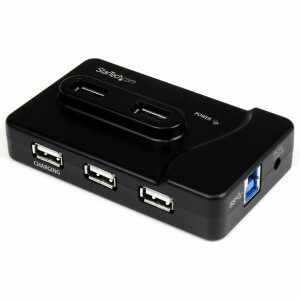 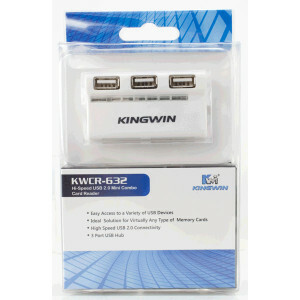 Black StarTech.com Portable 4-Port SuperSpeed Mini USB 3.0 Hub, Model: ST4300MINU3B. 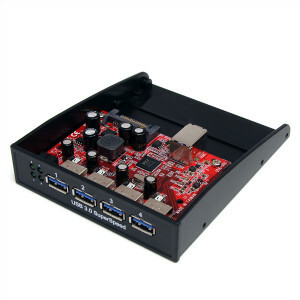 Black StarTech.com USB 3.0 Front Panel 4-Port Hub, 3.5in or 5.25in Bay, Model: 35BAYUSB3S4. 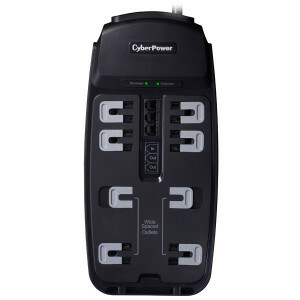 Black StarTech.com 6-Port USB3.0/USB2.0 Combo Hub, w/ 2A Charging Port, Model: ST7320USBC. 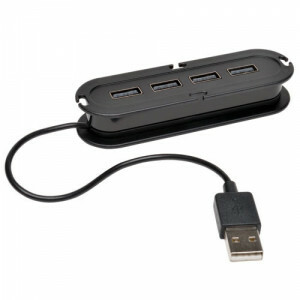 Black Tripp Lite USB 3.0 Charging Hub, 2x USB3.0, 4x USB2.0, 1x Charging iPad2, Model: U360-412.